Restoring wood furniture takes time and patience, but the results of your labor can be enjoyed for years, even generations. The restoration process usually involves stripping off old finishes, bleaching, staining and then varnishing. 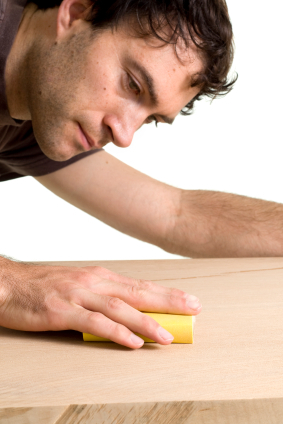 Once you have stripped the old varnish and paint from a piece of furniture (see tutorial on chemically stripping wood), you will most likely encounter stains in the wood surface that should be removed before applying a new finish. Bleaching is a good technique for getting out these stains. However, different types of stains require different bleaching techniques. Choose the tutorial that best addresses your needs. 4. Next, make a small amount of wet paste, mixing hot water and oxalic acid crystals. Use a mixture of three parts oxalic acid to one part hot water. Add more water or more crystals as needed. 10. Then neutralize the acid bleach by wiping the wood surface with white vinegar using a clean sponge. If you don’t neutralize the bleach, it will lighten any stain you apply later. I view something truly special in this website. !